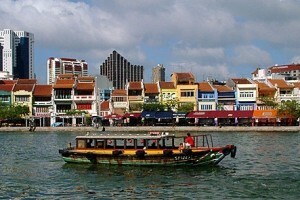 A run along Singapore River brings you through a trail of some of the most iconic landmarks in Singapore. 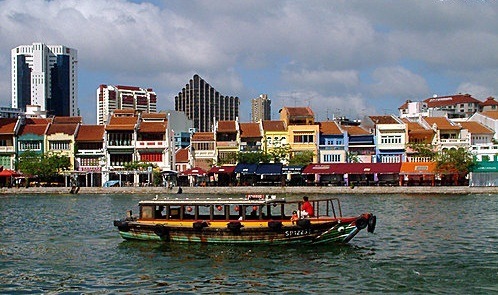 Familiar to many Singaporeans, Singapore River is one of the 90 rivers in Singapore that meanders in the central business district region passing through Boat Quay, Clark Quay and Robertson Quay. It was once the channel for transportation and commutation in the olden days of Singapore. Today, Singapore River is now lined with skyscrapers, commercial buildings and entertainment night spots. Singapore River is about 3.2 km long starting from Kim Seng Bridge to its mouth at esplanade where it enters the Marina Channel and flows out to the Singapore Strait. You may start your run from Alexandra Canal Linear Park and end at Fullerton Hotel, or head upwards from Fullerton Hotel instead. A loop around the whole river will give you a nice 12 km mileage.